SGA is a joint venture between Aumento & NDLO Group, whose owners have over three decades of experience in legal consultancy. With almost four decades of experience, Mr. Priya Shankar Dasgupta is well recognized for his expertise in the structuring & negotiating of joint ventures and foreign collaborations. 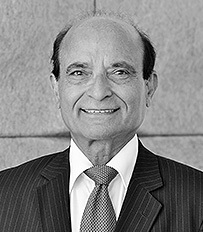 He is regularly consulted on international strategic corporate and commercial issues, particularly on entry strategies, mergers and acquisitions, restructuring, shareholder disputes. He currently serves as Director on the board of several national and multinational companies. He has on various occasions advised global financial institutions. Mr. Dasgupta promotes three K12 schools in UAE and India, as well as Renasense, a global renal care facility provider. 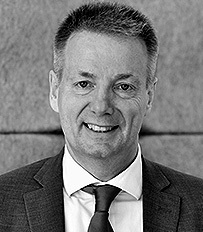 Anders Aagaard advises Danish and international clients within the field of corporate and commercial law and has solved a number of disputes in litigation and arbitration for Danish and international clients. Anders’ portfolio is wide-ranging, with expertise in M&A transactions, international contracts, Danish and international litigation and arbitration proceedings, employment law, insurance law, corporate and commercial law, competition law, personal data protection law and construction law, in a diverse selection of industries, including energy, environment, finance, healthcare, telecoms, railway, IT, automotive, commercial property, marine, furniture, defense, fashion, and gaming. Anders works with and educates himself continuously within the field of international law and leadership and trains companies and executives in board work and leadership based upon healthy legal and governance principles. 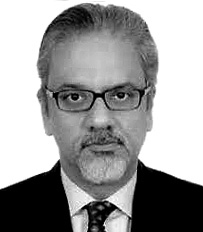 An Indian-born Danish national who has been residing in Denmark for over three decades, Mr. Matu has considerable experience with projects alongside internationally reputed architects in Denmark, Germany, USA, Greenland, Middle East, Saudi, India, and Bhutan. Mr. Matu is the ex-chairman of Indian Danish Chamber of Commerce and has a commanding presence in Denmark’s telecom industry. He started the telecom division in COWI as Director. In the mid 90s, he was the Regional Head for TeleDanmark International, and also the Country Manager (India) for Telia International, where he established mobile telephony, which is now known as Airtel. With over 18 years of experience, Meenakshi Durani has extensive experience in Human Resource Management and Marketing. She has worked across various verticals like Pharmaceutical, Education & Information Technology. Her strong ability to anticipate the market trends, keen analytical eye and team approach means that she frequently oversees the successful completion of business targets. 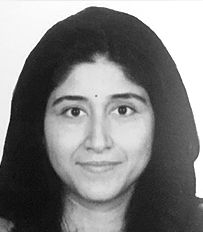 At present, Ms. Durani heads the Business Consulting function at SGA and works with clients in a range of industries including automobile, textile, healthcare and education. She leads and specializes in market entry strategy, engagement models, location analysis, competition evaluation and go- to-market strategies for the company.